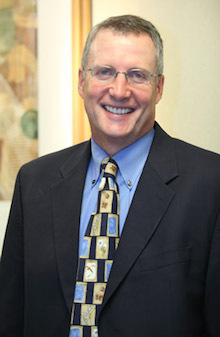 Dr. Snider is an experienced, highly trained cosmetic dentist. Having a great smile dramatically improves your confidence and appearance. Cosmetic Dentistry is the art of restoring or enhancing the teeth to a natural-looking state of beauty. Whether you want whiter teeth, a straighter smile or a whole-mouth makeover, Dr. Snider has the experience and the skill to give you an incredible smile that you’ll want to show the whole world. Dr. Snider was recognized as one of Main Line’s Top Dentists and was also voted as one of America’s Top Dentists by the Consumer Research Council of America. Dr. Snider trained at the prestigious Las Vegas Institute of Advanced Dental Studies and has over 25 years of experience performing cosmetic procedures. Dr. Snider combines the latest high-tech with decades of experience to create a truly fantastic smile for you. Come in for a Complimentary Cosmetic Consultation with Dr. Snider. The first step in any cosmetic procedure is a full examination of your teeth and mouth. Dr. Snider offers no-charge Cosmetic Consultations so that he can find out what you’d like to achieve with Cosmetic Dentistry and to go over all of your options with you. Gaps between the teeth—Gaps can be closed with veneers or crowns. Broken-down teeth— Crowns, inlays or onlays are usually used to handle broken-down teeth. Cosmetic dentistry can make a dramatic improvement in your appearance. Here are some before & after pictures of Dr. Snider’s patients. Because this patient’s teeth were jagged, discolored and misaligned, she came to us unhappy with her appearance. We suggested cosmetic veneers and crowns and the result is amazing! Now she faces life with renewed confidence. Our patient was not happy with the discoloration of his smile. He also wanted to show more teeth when he smiled. We achieved a brighter, broader smile with new all ceramic porcelain crowns on his entire upper arch. He is very happy with his new broader whiter smile!